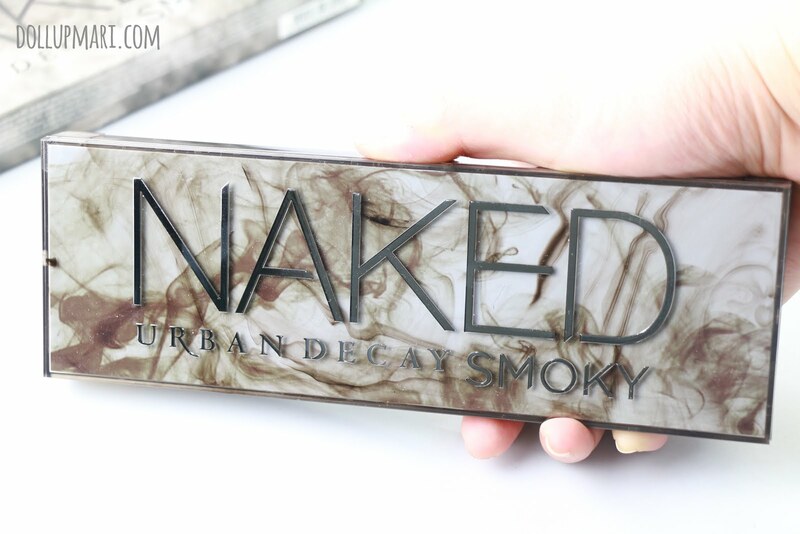 After a very long Urban Decay buying hiatus (not because I didn't like the products, more of like I felt that a lot of the new additions were seasonal and I wanted to buy products that would be permanent in their range), here I am with Naked Smoky! "Fool me once, shame on me. Fool me twice, shame on you." 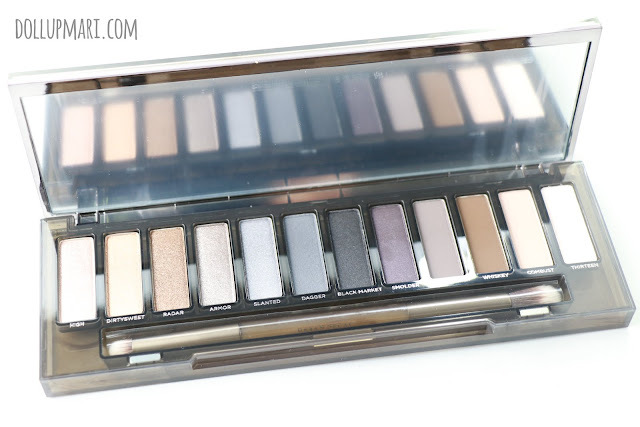 I kid you not that this applies to every single Urban Decay fan out there because we all know they recycle shades in their eyeshadow palettes, and at this point, after rolling out virtually every single eyeshadow color imaginable, their "brand new never before seen shades!!!" remind people more and more of shades that already exist in their roster. But well, since I'm a fan, even if I know this very well, I still went on and bought this anyways. 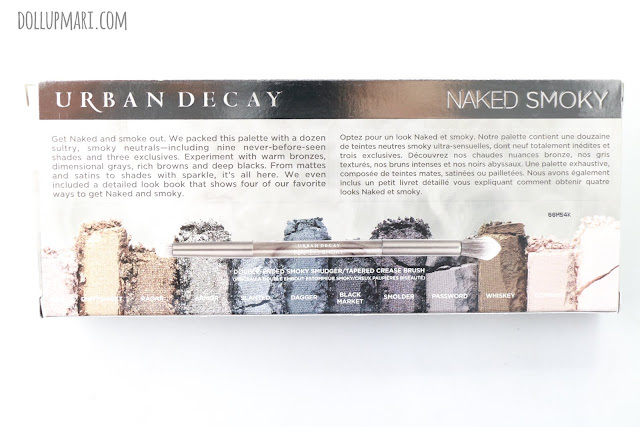 I know I'm paying for the eyeshadow but the freebie is one of the things I look forward to the most in any Urban Decay purchase. Urban Decay has always been on the forefront of being the best in packaging, but I think they took their reputation one step further with even classier packaging than the previous palettes. I'm not exactly sure how durable this acrylic packaging is, but boy does it look so luxurious. It reminds me a lot of tortoise shell, but in an animal-friendly-no-tortoises-were-harmed-here-enjoy-your-eyeshadow kind of way. 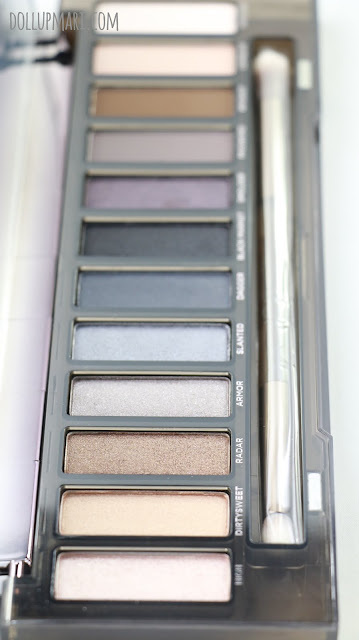 The first thing I actually did after opening the palette is to sniff it. 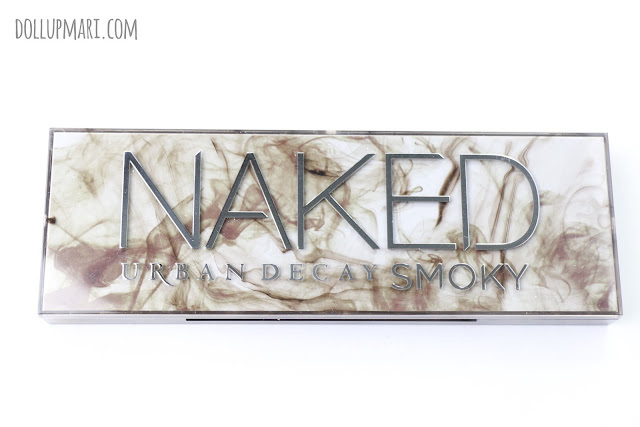 Those who read my UD posts frequently know how much I love the smell, and also how much I rely on the scent to prove the authenticity of any palette. Remember folks, authentic palettes' eyeshadows come with a rose-vanilla smell, so do watch out for that when buying palettes sold in trade fairs. 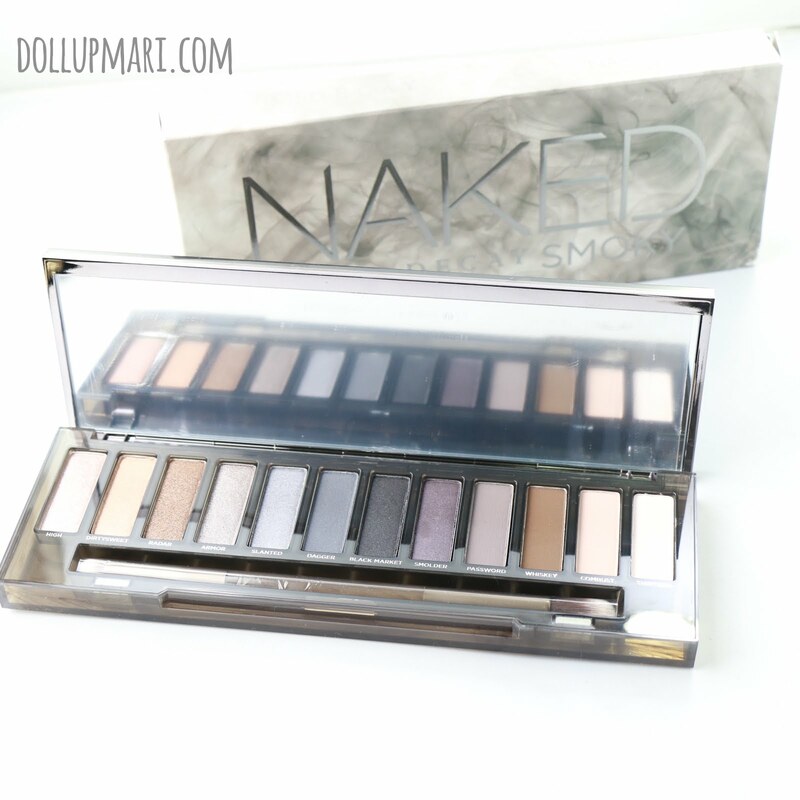 I'm certain that any beauty obsessed seller knows the smell and will be confident enough to allow you to examine and sniff the palette before purchase. 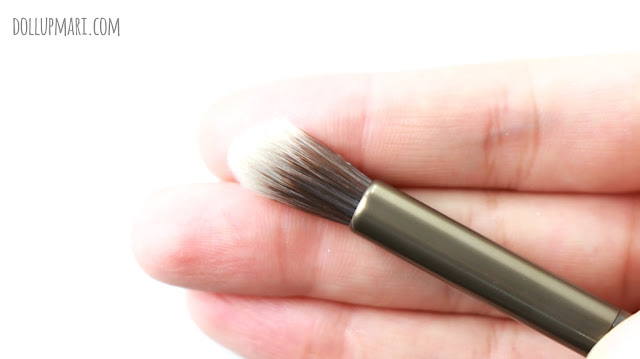 As with their previous rollouts, this palette comes with a double sided brush. 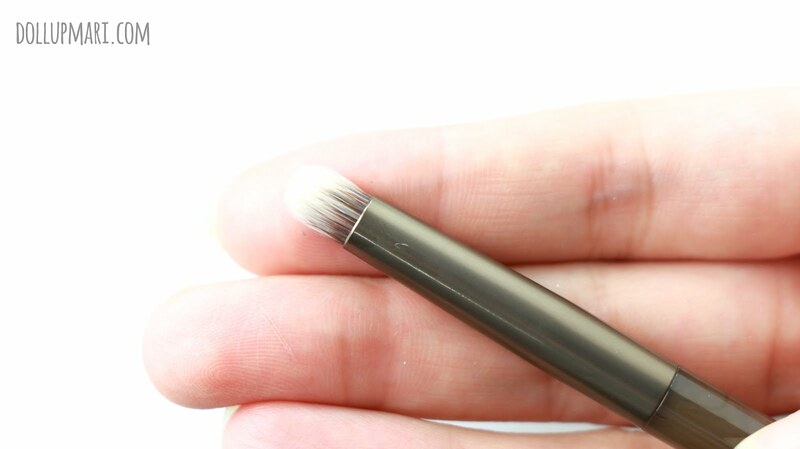 One side is a tapered blending brush, and the other side a pencil brush. I thought that it was really neat to have a pencil brush instead of the usual paddle brush because I think this will help better in blending, and can bring about less fallout. Here's the palette in its glory. I really like this palette because I appreciate that when they said smoky, they didn't dwell on providing people with dark black shades. Instead, they focused on providing shades that all come with grayish undertones so that when you apply it, it's almost as if you had blended an eyeshadow with black. I see how thoughtful it is, because with this kind of color system, you can avoid the gnarly fallout associated with blending in matte black eyeshadow without sacrificing the drama part. I also like that they spent two colors on matte highlight shades. Or the fact that all the matte shades look good and are useful shades even for everyday. 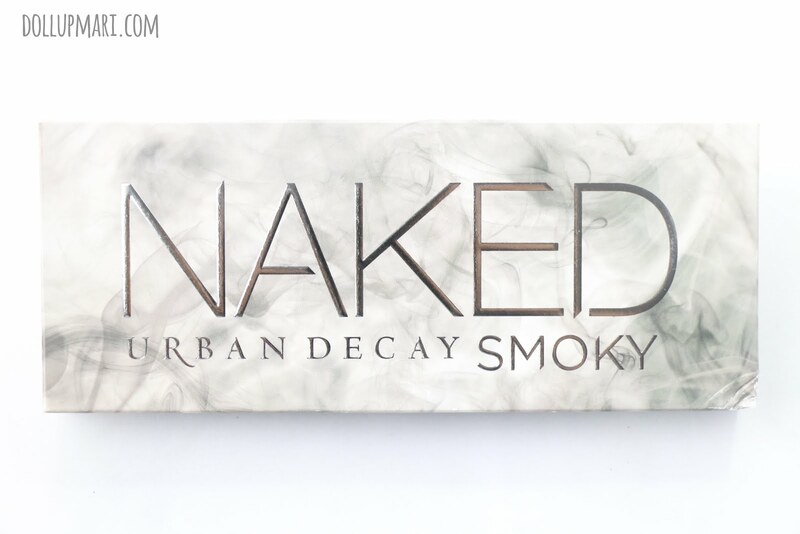 I didn't feel exactly overjoyed that the two matte color shades in Naked 3 made me look swollen... I like that they took the time to have more neutral additions. I will be back with a legit swatch post, so watch out!